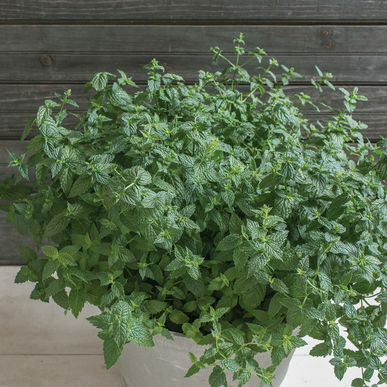 A zesty, versatile herb. Use to flavor salad mix, main dishes, ice cream, and drinks. May become invasive, if allowed to do so. Check rockwool occasionally for seedlings growing underneath. Growing Clips are recommended to easily pull and replace your plant. Mint is a great plant to start in your Tower Garden inside or outside the first year then transplant to a container to enjoy year after year. 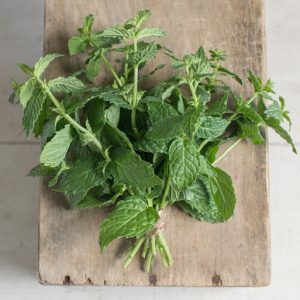 HARVEST: Pick mint regularly for better production. If harvesting the entire plant, wait until just before flowering. Individual leaves may be harvested once the plants are established. Dry in a warm, well-ventilated location that is out of direct sunlight, turning the leaves and flowers occasionally as they are drying.